Fancy Tiger Crafts: Sweet Georgia Yarn and Roving! Sweet Georgia Yarn and Roving! 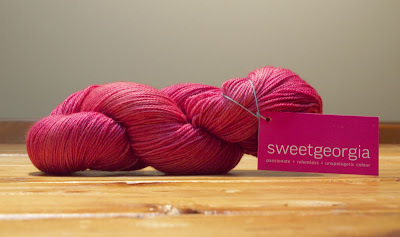 We are thrilled to welcome Sweet Georgia yarns and rovings to our line-up of inspiring craft supplies! Sweet Georgia is the company of Felicia Lo out of Vancouver, Canada. Felicia hand-dyes all of the fiber and yarn using bold and saturated colors - of course, we love them. BFL sock is a lovely sock yarn made up of 80% Blue Faced Leicester wool and 20% nylon. The Blue Faced Leicester makes for a super soft yarn and the nylon adds strength. 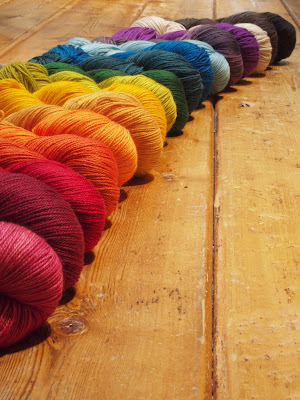 We have BFL sock in 18 semi-solid colors...perfect for our Laurelhurst KAL! 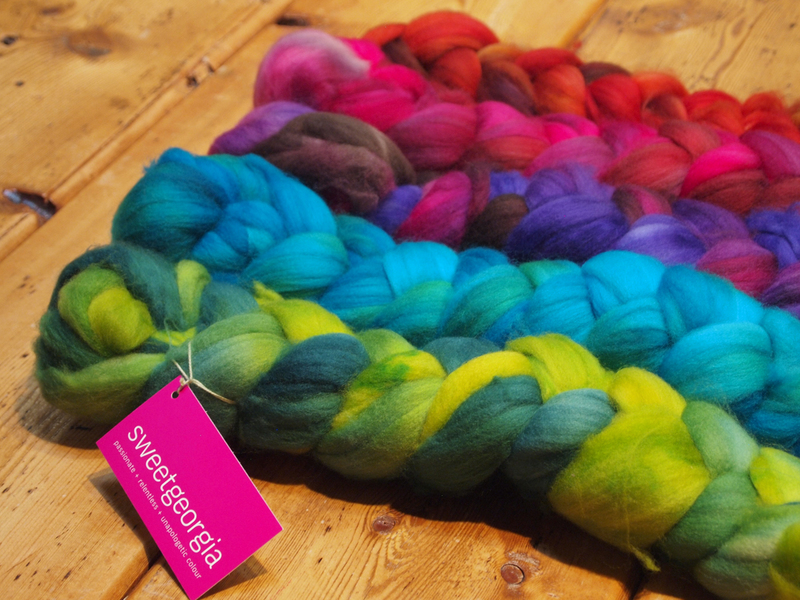 We also have hand-dyed roving braids! These 4 oz beauties feature tonal colors on a superwash merino base. We can't wait to see what you spin up! Me Made May 2013 Challenge! The Magical Makerie Sewing Retreat! Lotta Jansdotter Glimma Fabrics are Here!